Aegon NV was added last week to a list of nine too-big-to-fail insurers compiled by global financial rule makers. (Bloomberg) — Aegon NV declined the most in almost three months after the Dutch insurer swung to a third-quarter net loss of 524 million euros ($563 million) on the sale of its Canada business, changes to the way it calculates risk and lower fixed-annuity earnings. The results were affected by “assumption changes, our ongoing model refinement program, and the anticipated book loss on the sale of our low-return business in Canada,” Chief Executive Officer Alex Wynaendts said in a statement on Thursday. Net income was 52 million euros a year earlier. 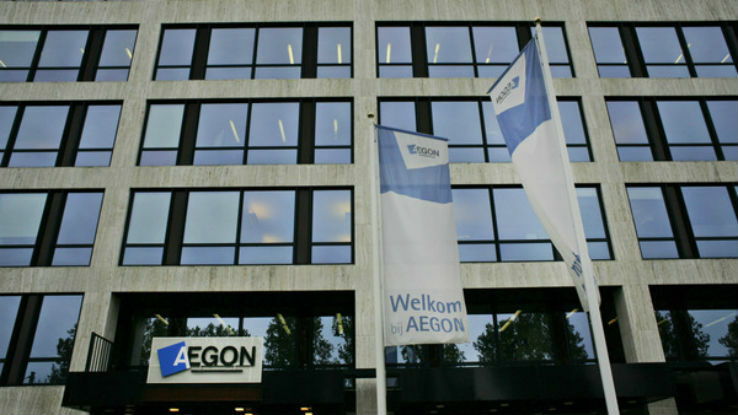 Aegon fell as much as 9.2 percent in Amsterdam trading. The shares were down 7.9 percent at 11:50 a.m., the biggest drop since Aug. 24 and bringing the decline for this year to about 15 percent. Aegon’s solvency ratio, a measure of available capital in relation to requirements to meet obligations toward policyholders, rose to 225 percent from 206 percent at the end of June, the company said. Aegon, which is preparing for stricter capital demands next year, “still hasn’t received the internal model approval” from the Dutch central bank for the new capital regime, Chief Financial Officer Darryl Button said in a telephone interview. The new rules, known as Solvency II, come into force in January. “The news on capital is mixed as a better than expected Solvency I ratio is offset by an unexpected drop in U.S. excess capital and lack of news flow on Solvency II,” Matthias de Wit, an analyst at KBC Securities in Brussels, wrote in a note to clients. The insurer, which receives two-thirds of its income from its U.S. subsidiary Transamerica Corp., said the book loss on the divestment of its Canadian insurance business amounted to 751 million euros, while the assumption changes and model updates accounted for 204 million in charges in the third quarter. The Hague-based insurer was added last week to a list of nine too-big-to-fail insurers compiled by global financial rule makers, meaning it could face a 10 percent increase in capital requirements and tighter regulation. In September, the company said it’s reviewing its U.K. operations to decide whether they fit with the business’s future goals. Underlying pretax earnings was 436 million euros, up from 291 million euros a year ago. Return on equity, a measure of profitability, fell to 6.8 percent in the third quarter from 8.2 percent in the second quarter.